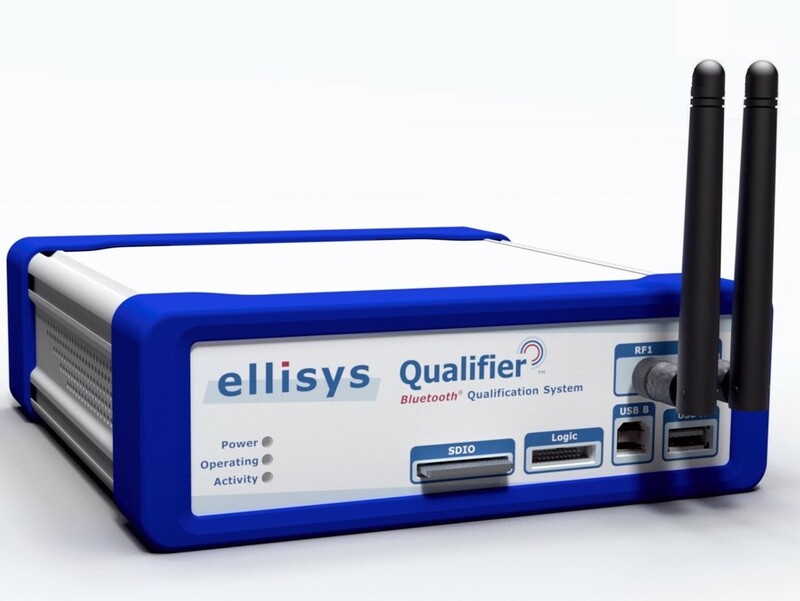 GENEVA, SWITZERLAND--(Marketwired - April 07, 2016) - Ellisys, a leading provider of USB and Bluetooth® protocol analyzers, testers, and compliance suites announced today that its EBQ™ Bluetooth radio compliance tester has passed several development milestones and will be shipping to early customers in 2H 2016. The EBQ is slated to be an industry standard compliance tester and is based on requirements provided by the Bluetooth Special Interest Group (SIG). The EBQ was formally introduced to the Bluetooth SIG membership gathered for the recent UnPlugFest (UPF 53) in Atlanta, Georgia. Staff from the Bluetooth SIG introduced the EBQ system and outlined its capabilities and status of development milestones to the attending membership during the event's welcome session. Ellisys engineers were on hand to provide one-on-one live demonstrations of the system's capabilities to attendees throughout the week-long event. In addition, Ellisys staff included the EBQ system at its booth during the recent Bluetooth World at Levi's Stadium in Santa Clara, CA, March 15-16. "Bluetooth World and the recent UPF were excellent venues for us to discuss and demonstrate the EBQ feature set to a variety of radio manufacturers and test labs," stated Mario Pasquali, Ellisys president and CEO. "The need for a modern replacement of the legacy compliance test system has been evident for some time now, and our approach in creating a modern architecture that is flexible, reprogrammable, and compact will resonate with Bluetooth developers who have anxiously been awaiting this product." "Our vision is a world where everything is unthinkably connected, and providing the industry with a standardized platform to ensure compatibility and interoperability of the Bluetooth specification is an important part of realizing that vision," said Errett Kroeter, vice president of marketing, Bluetooth SIG. "With EBQ, Bluetooth chipset manufacturers will have a powerful tool to ensure their products deliver the highest quality Bluetooth implementation, increasing interoperability and improving the Bluetooth experience for customers globally," Kroeter added. 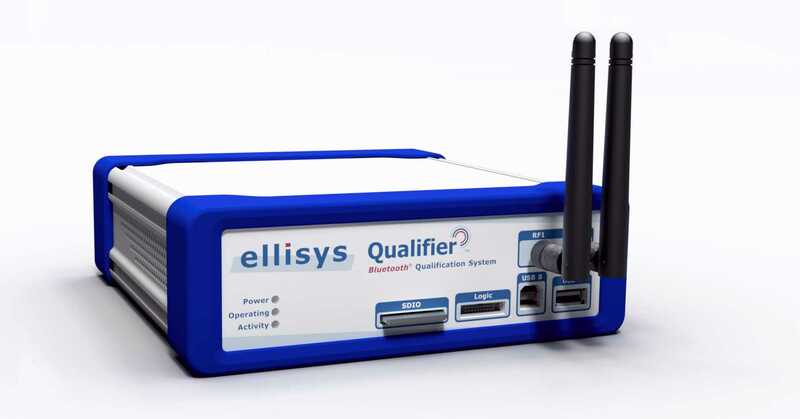 Paul Blackett, a Bluetooth Qualification Expert and Business Development Manager with UL, said "I was excited to review the EBQ with Ellisys during Bluetooth World. As a Bluetooth SIG recognized BQTF (Bluetooth Qualification Test Facility) we look forward to using this innovative system to ensure manufacturers' products meet the Bluetooth SIG test and qualification requirements. Having an up-to-date protocol tester is needed within the Bluetooth industry and UL expects this tool to fully meet the market needs." 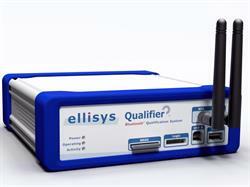 Ellisys is a Test & Measurement company committed to the design and timely introduction of advanced protocol analysis solutions for USB and Bluetooth technologies. More information is available on www.ellisys.com. The Bluetooth® word mark and logos are registered trademarks owned by Bluetooth SIG, Inc. and any use of such marks by Ellisys is under license. Other trademarks and trade names are those of their respective owners.